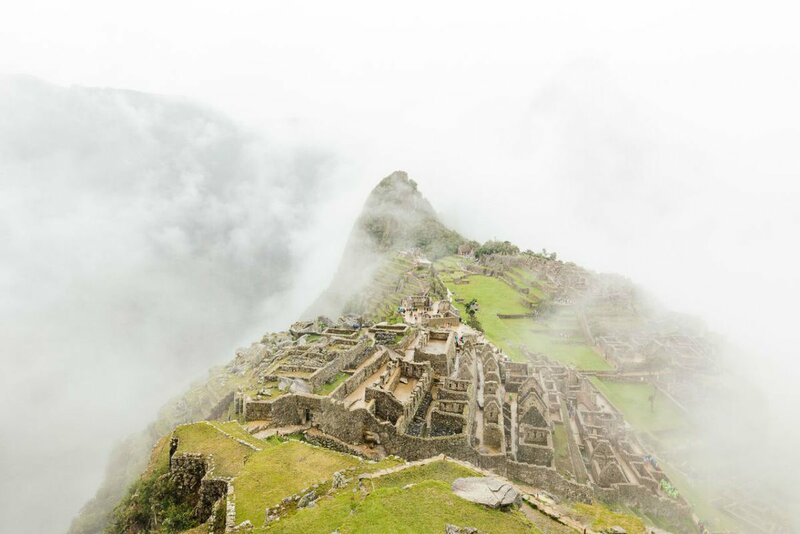 Machu Picchu views without the sweat. Photos by Tanveer Badal. While on assignment for Fathom, travel photographer Tanveer Badal discovered a new and thrilling way to arrive at the iconic Machu Picchu. OLLANTAYTAMBO, Peru – Ever since American archaeologist Hiram Bingham stumbled upon Machu Picchu in 1911, travelers have been seeking all sorts of ways to access the ancient ruins. Currently, it's by foot or train, the latter of which tends to be most popular. 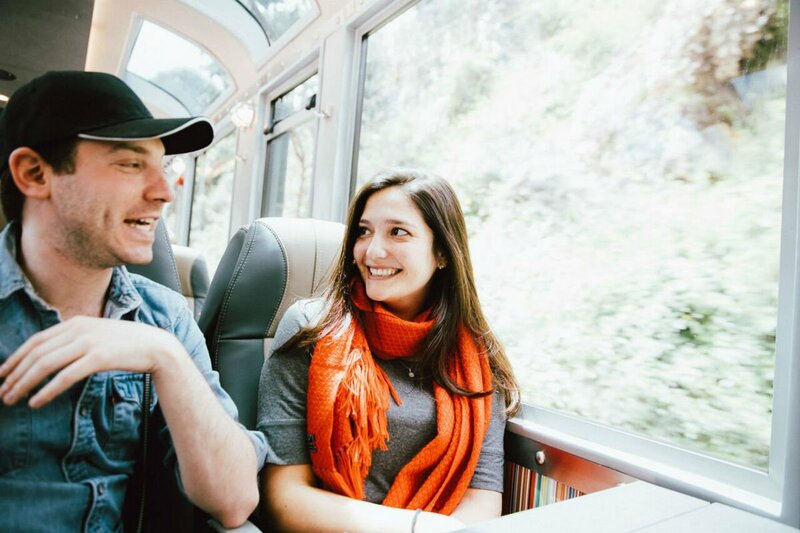 This March, Inca Rail launched a new offering, the 360° Machu Picchu Train. It is, without a doubt, an incredible way to get to the famous Inca city. My visit to Machu Picchu coincided with the launch, so I was among the first passengers to experience the hour-and-a-half ride. Upon arrival at the busy train station in the charming, cobblestoned town of Ollantaytambo, I found a nice, private waiting area reserved for Inca Rail passengers. I had arrived with a little time to spare, so it was nice to set my bags down and fix myself a cup of coca leaf tea. Then it was time to enter the station. After scanning my ticket, I was surprised to find another cozy waiting area on the other side of the gates. At this one, more of a cafe setting, I topped off my tea with hot water to linger a bit longer. I didn't have long to wait before the train pulled into the station. As I snapped a quick photo of the main carriage, it suddenly hit me: I was about to visit Machu Picchu, one of the great wonders of the world, for the first time in my life. Sometimes, through the hustle and bustle of travel, you forget to simply enjoy — and anticipate — the moment. The ride to Aguas Calientes, the gateway town to Machu Picchu, was scenic and smooth. As promised, the other passengers and I were treated to full 360-degree views of the Peruvian landscape. The route traced the roaring Urubamba river in the Sacred Valley and whisked us past Inca terraces used for farming and panoramic view of gorgeous green mountains. 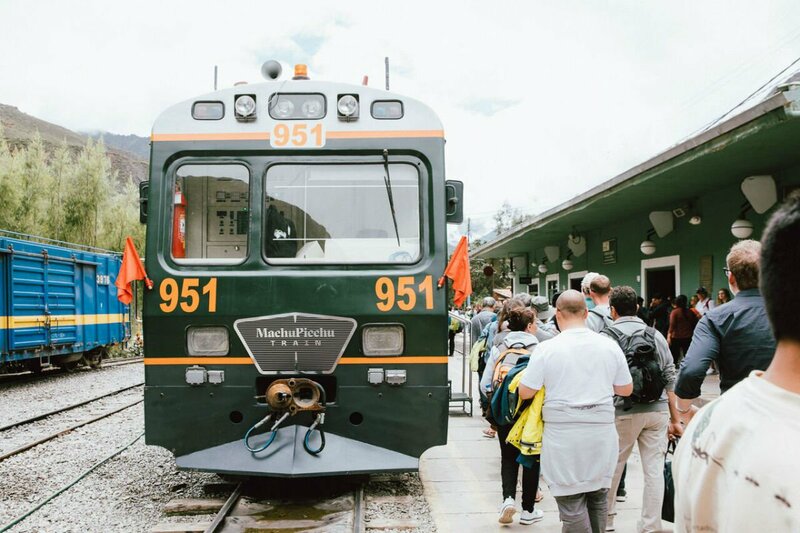 Besides the 360° trains, Inca Rail offers three other rail options to Machu Picchu: Private Machu Picchu Train, First-Class Machu Picchu Train, and Voyager Machu Picchu Train. 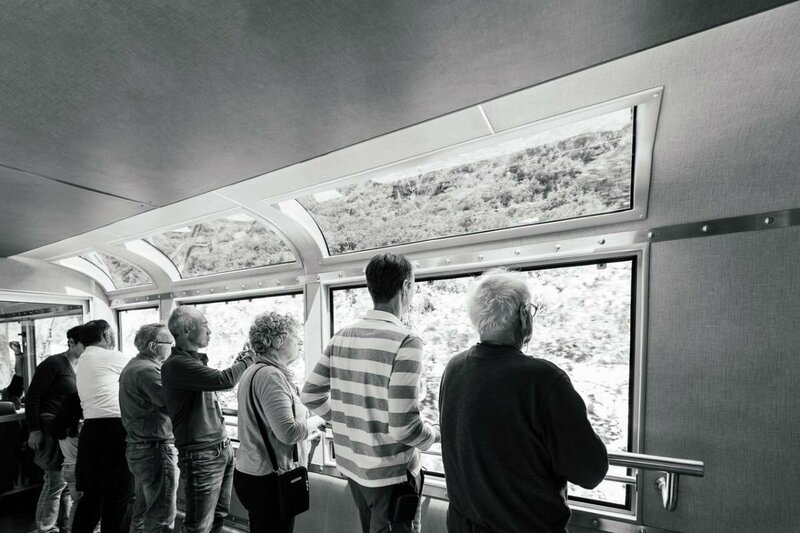 The 360-degree trains have six passenger cars and a dedicated observation deck with an outdoor viewing platform. I was about to visit Machu Picchu, one of the great wonders of the world, for the first time in my life. Sometimes, through the hustle and bustle of travel, you forget to simply enjoy — and anticipate — the moment. I wasn't expecting a meal (I had a lunch reservation at the Inkaterra Machu Picchu Pueblo Hotel) and was pleasantly surprised when a server laid down a tray with a simple cheese sandwich and a granola snack. Afterward, it was time to check out the main attraction: the open-air observation deck car. Most of the other passengers were already on deck. As the train wove through the valley, two lines of passengers on each side of the car slid about, jockeying for views while trying not to spill their cocktails. Thanks to years riding New York City's subways, I’ve had lots of practice navigating crowded, moving trains, so I was able to snap a couple of photos while holding onto the rails. I spent a majority of the ride stationed in this car, taking in the incredible views. At one point I heard another passenger remark, "Can you feel it? It's becoming much more humid." This meant we were entering Upper Amazonia. 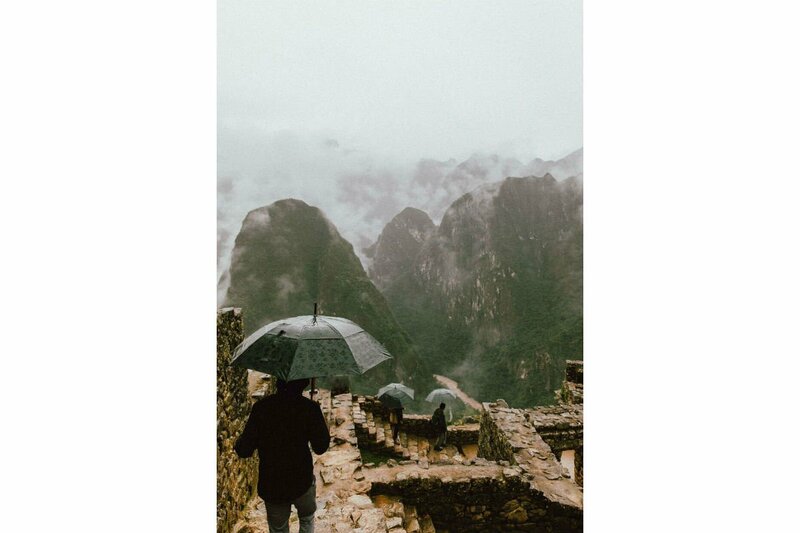 Machu Picchu sits in an area in between the Andes and the Amazon, and the temperature gradually changes from one to the other. Before I knew it, we were passing Inkaterra Machu Picchu Pueblo Hotel, visible from the train station. We had arrived. I was shocked at how quickly the ride flew by — it was such a pleasurable experience that I wished it had lasted a little longer. The next morning, just a short walk to the shuttle buses and a 30-minute drive took us to Machu Picchu at last. I had always imagined my arrival at Machu Picchu would be on foot via the famous Inca Trail. But now that I've experienced it on a 360-degree train and have seen the beauty of the Inca Valley in comfort with a cocktail in hand, I'd easily opt for that route again.